The Miami Herald reported about this conference yesterday. It is good to see many lawyers contemplating for themselves and their clients how to navigate the waters of U.S. Cuba policies or even try to make sense of it. A question was posed to a State Department official, Charles Shapiro, as to whether Cuba should be taken off the terror list. It was explained that this situation was the root cause to blocking any meaningful U.S. telecommunications business in Cuba in contravention to President Obama's stated objectives in expanding communication with the Cuban people and new regulations licensing more telecom in Cuba. As long as Cuba is on that list, the Terrorism Risk Insurance Act applies and subjects it and any assets owed to it to lawsuits and seizures in the U.S., just as over $100 million was seized 7 years ago. This caused the cessation of collect calls from Cuba to the U.S. and a 100 percent increase in the toll cost from 45 cents a minute to over $1.00. Most agree that it is outrageous a one minute phone call to Cuba costs one dollar. 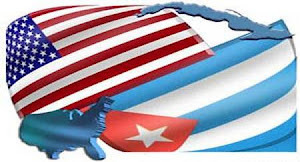 Cuba publicly stated no deals with U.S. telecoms in such a hostile environment. Lawyers in the room connected the dots as I had and several came to me afterwards to comment "ah, now I understand". Mr. Shapiro's response was the standard bureaucratic -- "it is reviewed annually". Actually he implied correctly so, that the ultimate decision about the list is at a higher paygrade. Does President Obama know he can actually make it possible right now, to create the environment, wherein we can get the cost of a phone call to Cuba down to normal, market based rates? Millions of potential revenue are being lost everyday and most importantly, the ability and affordability to pick up the phone without worry for cost to say hello to a loved one or friend in Cuba continues to be lost while the farce continues. U.S. telecoms are waiting and eager to do business in Cuba. North Korea is test firing missiles and is not on this list, but Cuba is?